Since I was last here, I've made 8 mini quilts. With each one I learn something more about my machine, about my preferences for color and design, about what is visually pleasing to me, from the stitches I choose for quilting and binding to a favorite color palette. My minis are yet far from perfect in my eyes, but I try to remember that is how someone will know they are handmade, each and every one, not manufactured. I'm proud of myself for being committed with a goal in mind. I may even attempt a larger quilt again, having gotten some good practice in with these minis. I'm also learning to use what technology I have on hand to assist in my quilting. I had been designing my quilts with pencil, eraser and graph paper. It's nice being able to do so anytime, anyplace. However, it's also frustrating when your design doesn't fit the space as you intended and you have to start over again. I decided to make a spreadsheet using Numbers on my iMac, mimicking the graph paper. I can fill the cells with color. I can even add shapes when I want something besides squares and rectangles. It's much easier to select the cells and wipe out the color and the lines when I want to make a change. The colors don't necessarily designate a particular fabric. I use them for placement, length, width, etc. I don't always know what fabric I'm going to use for a particular style quilt; therefore, trying to designate colors for the different fabrics would be impossible for me. I let the fabric tell me what to do with my template as a guide. And, without hesitation, I make changes to the template if needed as I'm working with my fabric. It's meant to guide, not restrict. The lines I've included for notes at the bottom of the page have proven useful. I jot down fabric, what stitches I used, thread tension and date completed. It means less time spent agonizing over my machine settings. 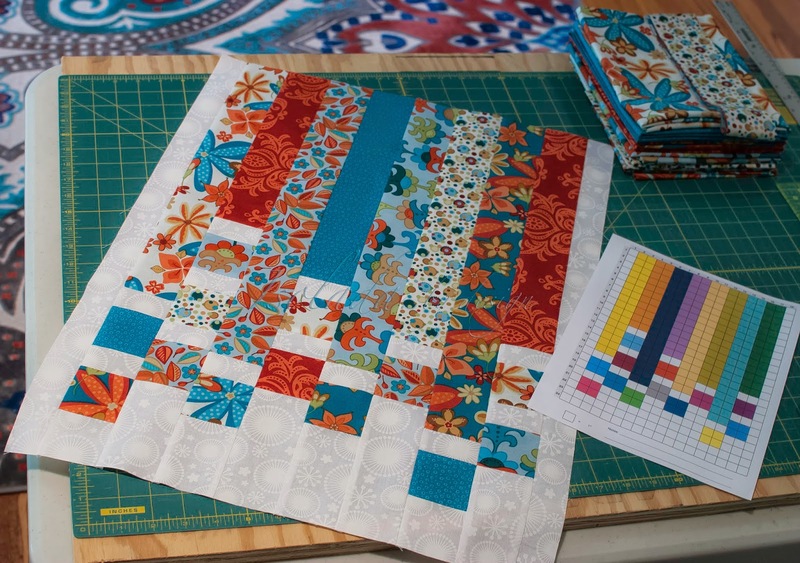 Quilting and working with the spreadsheet satisfies both sides of my brain...the side that aspires to design and the one that is the foundation to my creativity. 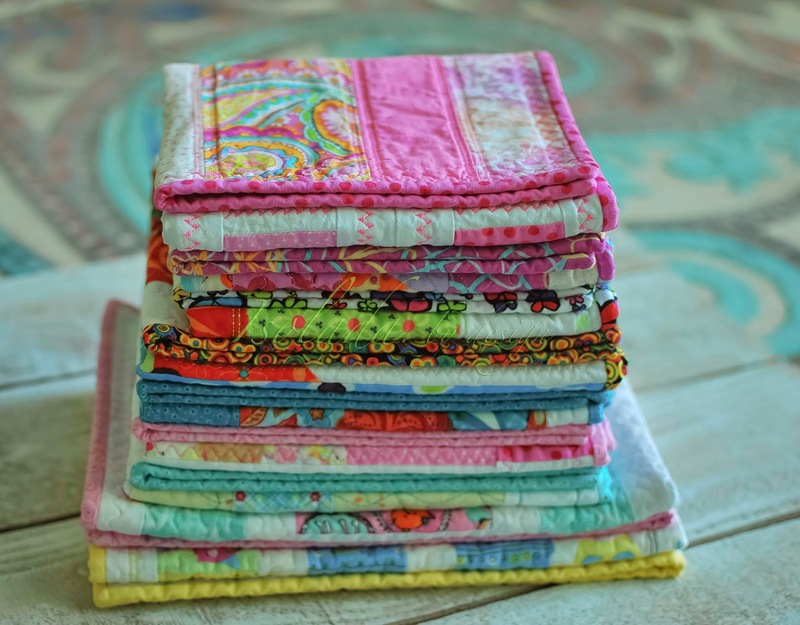 Love a stack of beautifully made quilts! Love the computer designing you're doing, so fun! P.S. the word I have to type to prove I'm not a robot is "inspired" such a true word for this post! !